I won’t say I wasn’t warned about window salesmen but on the day when I foolishly booked an appointment with a national company, he stood out as pushy and horrendously pricey. They were pushy and made me feel uncomfortable. I disliked their sales pitch and I wonder how many people sign up just to get rid of them. I cannot stress the importance of approaching reputable local tradespeople. Always go to a firm that has been recommended by someone you trust and get three quotes to compare. If you spend time shopping around for new windows, you wil soon notice that window salesmen have a lot of strategies and tricks. However, I then decided to do my own research into double-glazing. This article will help you decide on which windows for your home. Two main factors when choosing your new windows: efficiency ratings and cost. -Is the goal to increase energy efficiency? 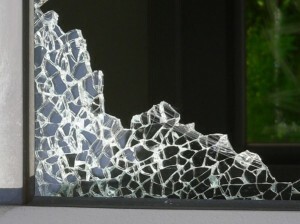 -Is the window installation project to replace windows with faulty or malfunctioning mechanisms? -Is the window replacement project for aesthetic appearance? 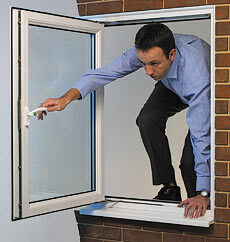 -Is home window installation for purposes of more sufficient ventilation and light? Replacing windows in order to increase energy efficiency is sometimes not necessary as there will be hardly any noticeable changes unless, of course, present windows are not well insulated. If the window to wall ratio is high and in very hot or very cold locations then you will notice the difference when you upgrade. If your windows are not working correctly, then it’s more cost efficient to get them repaired. Finally adding some curtains can improve their energy efficiency. 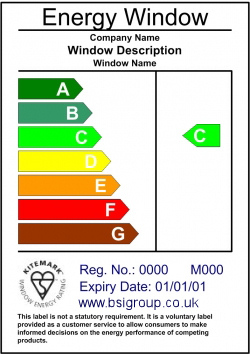 The Window Energy Ratings were developed by the British Fenestration Ratings Council (BFRC) and allows to compare the energy efficiency of different products . It uses the already recognisable format of the A to G scale found on white goods (fridges, washing machines, etc). 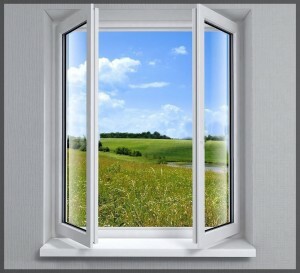 The ratings assesses the energy performance of the whole window, including the frame material, the frame design, the glass type and all other components. Ultimately, this means that the ratings take into account the heat loss, the air leakage and the solar gain. 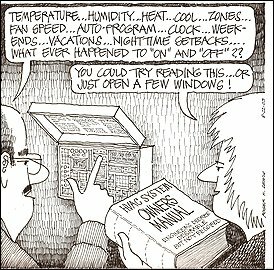 Obviously, when replacing windows, cost is a very important factor. Vinyl windows’ efficiency make them a popular choice for old wood window replacement. If you want to improve the aesthetic appearance and money is no object, then wood cased windows should be considered. When purchasing replacement windows, make sure to measure for the proper size to fit the rough openings once old windows are removed. 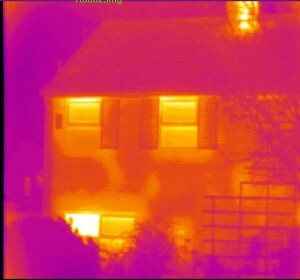 Anyone who installs replacement windows or doors must comply with strict thermal performance standards. One of the main reasons for the change is the need to reduce energy loss. The Building Regulations have controlled glazing in new buildings for many years, but they represent only a very small percentage of our total building stock. – A certificate from the local authority saying that the installation has approval under the Building Regulations. – A certificate showing that the work has been done by an installer who is registered under the FENSA Scheme. You do not need a planning permission to change your windows unless you live in a conservation area or in a listed building. What regulations do the windows have to comply with? Replacement windows will need to meet the thermal insulation requirements of the regulations. , the glazing needs to achieve a maximum U-value of 2.0W/m2K If the replacement windows have wooden or plastic frames whereas for metal frames a slightly higher U-value of 2.20W/m2K is allowable. Check with your supplie that the glazing units used will satisfy this requirement, as the Building Control Surveyor will need to see this proof before issuing a completion certificate. Leave any labels on the glazing in place until after a satisfactory inspection has been carried out by the Building Control Surveyor. In some cases, you can use glazing units which do not meet the above specifications, but to do so you would have to submit calculations to prove that the overall insulation requirements of the regulations would still be met. This may be possible if other insulation measures are undertaken at the same time as the window replacement – for example, installing cavity wall insulation or “topping up” loft insulation. To offset the higher losses through the glazing, you might be able to install extra insulation , but this should not to be undertaken lightly. Get any such calculations checked by the Building Control Surveyor well before the replacement windows are installed, so that expensive mistakes can be avoided. Low level glazing (glazed areas within 800mm of floor level) and glazing in doors within 1500mm of floor level should generally be of a type so that if broken, it will break safely. In practice this means such glazing should be either laminated or toughened. Ordinary glazing can still be used in small pane sizes however, provided the glass is sufficiently strong to resist breakage. The Approved Document to part N of the Building Regulations gives maximum sizes according to the thickness of glass – for example, in a single pane less than 1.1m square – 8mm glass is satisfactory. In dwellings, ideally all first floor windows should have opening lights large enough to allow you to escape through them if you were trapped in the room by a fire. This also applies to rooms in bungalow that open into to a hall (unless the hall itself has an external door through which you could escape). All windows should have an unobstructed openable area of at least 0.33m2 and be not less than 450mm high and 450mm wide (the route through the window may be at an angle rather than straight through). The bottom of the openable area should be less than 1100mm above the floor. If your existing windows do not have opening lights which meet the above requirements, you should take the opportunity to add them in the replacement windows. This is not however a requirement of the Regulations provided the replacement windows are no worse than the ones replaced in this respect. Where the existing windows already have opening lights which are larger than the above requirements, those in the new windows can be reduced in size provided they are not reduced to less than the dimensions above. 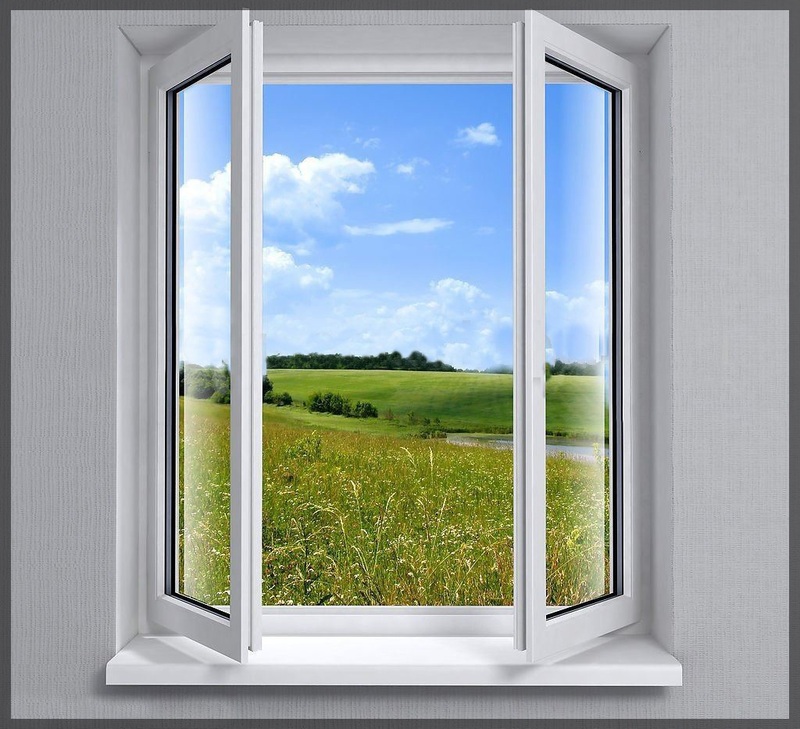 The Building Regulations (Document Part F) require that adequate ventilation is provided for people in the building and this should be considered when deciding on the size of opening lights in the replacement windows. For most rooms, one or more opening windows totalling 5% of the floor area, with background “trickle” vents totalling 8000mm2 will be adequate. For kitchens, utility rooms and bathrooms an extract fan is also normally required. In some cases the existing windows may contain a permanent vent to supply combustion air to a heating appliance, although this is now rare. If this is the case however you should ensure that either the replacement window contains a similar permanent vent, or that some other means of providing the required ventilation is installed at the same time. If the replacement windows are wider than those they replace, or involve the replacement of bay windows, then the Building Control Surveyor will need to be satisfied that proper structural support (Document Part A) is provided above the window. In older buildings, the timber frame of the window was often sufficiently strong to carry the load of a wall or roof above it without a lintel. 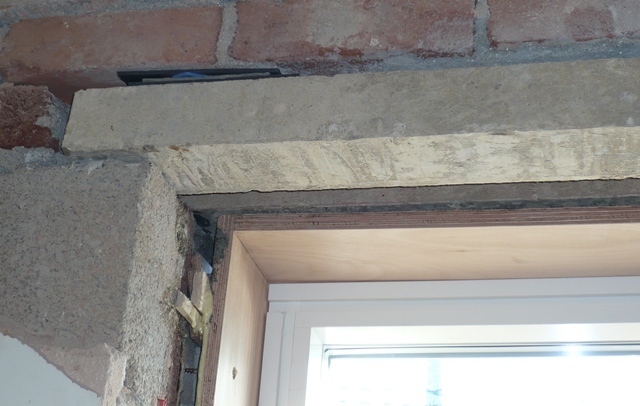 Obviously in these cases either a lintel needs to be installed when the window is replaced, or the new frame carefully reinforced to carry the load. You might want to get a professional to replace the windows as it’s a fairly difficult task. A window installer, or window replacement tradesperson will have the necessary skills to quickly and correctly complete the project. To locate reliable local tradespeople, simply post a job on www.FindaTrade.com . 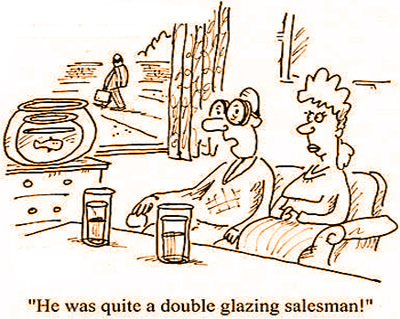 Homeowners sign up FREE, with no obligation whatsoever, and then post their window project online. Local tradespeople members view project details and provide competitive quotes quickly. Homeowners can view each tradersperson member’s company profile, certification, and insurance credentials, customer references and ratings, and view photo galleries of recently completed projects. This article was posted in Eco-friendly, General, Home Renovation, Windows. Bookmark the permalink. Follow comments with the RSS feed for this post.Post a Comment or leave a trackback: Trackback URL.